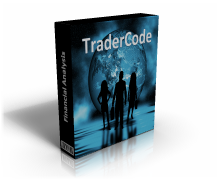 Free Technical Analysis Software - This is a free technical analysis software library for Excel. Free Point and Figure Charting - Use this spreadsheet to plot a professional Point and Figure chart for technical analysis. FOREX Technical Analysis Software - Use this spreadsheet to import FOREX data for technical analysis in Microsoft Excel. Free spreadsheet to download Stock Quotes to Excel - This free template and VBA macro allows you to automate the download of Stock Quotes to Excel. Create an Automated Stock Trading System - Free lessons on Moving Average, Wilder's True Range, Average Directional Movement Index and more. This spreadsheet provides a template for planning the expenses and forecasting the revenues of a company (for 5 departments) over a 12 months period. This spreadsheet aims to assist investors or managers in estimating cash flow to accurately calculate the Net Present Value and Internal Rate of Return. This spreadsheet provides a complete three (or five) year company financial plan including the Income Statement, Balance Sheet and Cash Flow plan. This is a comprehensive suite of investment calculators and financial modeling templates for Excel. 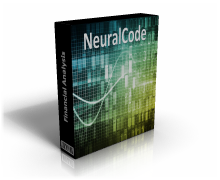 This is an advance Neural Networks financial predictor and forecaster add-In for Excel. Free Shift Scheduling spreadsheet - This spreadsheet creates a monthly calendar for assignment of shifts to employees. Professional Employee Shift Scheduler spreadsheet - This spreadsheet can be used to assign employees to 6 different shifts over a six months period. Employees can be assigned to work in a constant fixed shift or be rotated among the different shifts. Free Gantt Chart - This is a spreadsheet that generates a professional Gantt Chart schedule. Free Critical Path Method (CPM) spreadsheet - This spreadsheet can be used to perform Critical Path Method/Analysis on projects. Free Excel Training - 10 Lessons of Excel Training (Over 100 pages!). Excel Training - resource for all kinds of Excel Training. 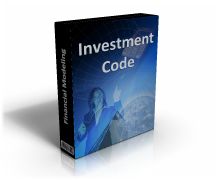 Free Investment and Financial Calculator (TVM, NPV, IRR) for Excel - This financial calculator uses the Time Value of Money and Discounted Cash Flow Analysis concepts to analyze investments. Free Options Valuation (Put Call Parity, Binomial Option Pricing and Black Scholes) spreadsheet - This spreadsheet uses the Put Call Parity relation, Binomial Option Pricing, Binomial Trees and Black Scholes model to value options. 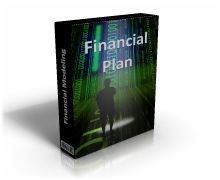 Free Corporate Financial Planning spreadsheet - This spreadsheet provides a template for financial statements forecasting. It requires simple financial statements inputs from the past 5 years and will automatically generate all the necessary Pro Forma Financial Statements projections outputs. Free Company Share Price Valuation (Free Cash Flow to Firm) spreadsheet - This spreadsheet values a company's share price by using the Free Cash Flow to Firm of a 10 years projection horizon. The Free Cash Flow to Firm is defined as the sum of the cash flows to all claim holders in the firm, including equity holders and lenders. Free Cash Flow to Equity spreadsheet - This spreadsheet values a company's share price by using the Free Cash Flow to Equity of a 10 years projection horizon. 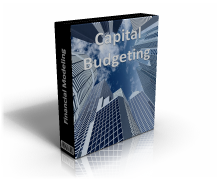 Free Capital Budgeting spreadsheet - This Capital Budgeting spreadsheet allows managers to estimate the cash flow of a project and calculate the Net Present Value/Internal Rate of Return quickly and easily. Free Stock/Equity Valuation spreadsheet (Gordon's Model) - This spreadsheet uses the Dividend Discount Model to value stocks/equities in different scenarios. 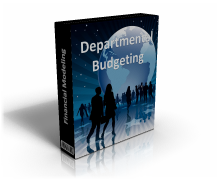 Free Departmental Budgeting spreadsheet - This departmental budgeting spreadsheet provides a comprehensive template for planning the expenses and forecasting of the revenues over a 12 months period. Free Bond Valuation spreadsheet (Yield To Maturity) - Calculate a Bond's Yield To Maturity based on the coupon payments, maturity date and current price. Free Bond Duration and Convexity spreadsheet - Calculate a Bond's Duration and Convexity to determine how long it takes to recover the price of a bond. Free Modern Porfolio Risk spreadsheet (Mean, Variance, Standard Deviation and Correlation) - Use this spreadsheet to calculate the Mean, Variance, Standard Deviation, Correlation and Risk of a Portfolio. Free Portfolio Optimization spreadsheet - This financial model uses Markowitz theory for portfolio optimization. Free Assets Correlations spreadsheet - This spreadsheet uses historical prices to calculate assets correlations. Free Capital Asset Pricing Model spreadsheet - The Capital Asset Pricing Model is a theory developed by William Sharpe, John Linter and Jack Treynor in the 1960s. The model describes the relationship of the expected rate of return as a function of the risk free interest rate, the investment's beta, and the expected market risk premium. Free Lease or Buy spreadsheet (Net Advantage To Leasing) - Use this spreadsheet to calculate the Net Advantage To Leasing and decide whether to lease or buy an equipment or machinery. Free International Fisher Effect spreadsheet (Purchasing Power Parity and Interest Rate Parity) - Use this spreadsheet to calculate the Relative Purchasing Power Parity and Interest Rate Parity. Free Stock Beta calculator spreadsheet - Calculate the Stock Beta of a security against a broader and more general market. Free Cost of Capital spreadsheet (WACC, COE) - Use this spreadsheet to calculate the Weighted Average Cost of Capital and Cost of Equity of a company. Free Loan Amortization Schedule template for Excel - This free template can be used to easily generate a complete Loan Amortization Schedule. Free Inflation Calculator template for Excel - This free template can be used to easily calculate the rate of inflation from the consumer price index. Free Sharpe Ratio spreadsheet - Use this spreadsheet to calculate the Sharpe Ratio to evaluate the performance of funds manager. The Sharpe Ratio, invented by William Forsyth Sharpe is also known as the Sharpe Performance Index. It is a measure of reward (or excess return) per unit of risk. Free Treynor Performance Index spreadsheet - Use this spreadsheet to calculate the Treynor Performance Index to evaluate the performance of funds manager. Treynor Performance Index, invented by Jack Treynor is also known as Treynor Composite Performance Measure or Treynor ratio. It is a measure of reward (or excess return) per unit of risk. Free Jensen Alpha performance index spreadsheet - Use this spreadsheet to calculate Jensen's Alpha to evaluate the performance of funds manager. Jensen's Alpha is calculated as the difference between the actual returns of a portfolio during a period and the expected returns of the portfolio using CAPM. Free Terminal Value of an Enterprise spreadsheet - During the valuation of a company or enterprise, the estimation of the Terminal Value of the company is an important aspect that should not be forgotten. This Terminal Value spreadsheet model uses one of the most commonly used formula for estimating this value. Free Excel Invoice Template - a collection of free templates and a professional spreadsheet designed to ease the printing of invoices for small business owners. Free Excel Employee Timesheet Template - This is a collection of employee timesheet templates designed to ease tracking of employee’s working hours for small business owners. Free Excel Calendar Template - This is a collection of free and reusable Excel Calendar templates designed to ease printing of desktop calendars for small business owners. Free Modified Accelerated Cost Recovery System (MACRS Depreciation) spreadsheet - The Modified Accelerated Cost Recovery System (MACRS) is a system of accelerated asset depreciation required by the United States income tax code. This spreadsheet includes all the commonly used MACRS tables from the U.S IRS. Free Balance Sheet spreadsheet - In financial accounting, a balance sheet summarizes an organization's financial position at a specific point in time. Free Income Statement spreadsheet - The Income Statement is sometimes also known as the Profit and Loss Statement (P&L). This statement illustrates how net income is derived from revenue and expenses. Free Cash Flow spreadsheet - The Cash Flow Statement is used to illustrate the movement of cash into and out of a company for a specified period of time. Cash Flow can be further categorized into Operational cash flows, Investment cash flows and Financing cash flows. Free Excel Templates - resource for all kinds of Excel Templates. ConnectCode Duplicate Remover for Excel - a tool for finding and removing duplicate entries in Excel. ConnectCode Deluxe Excel Add-In - a collection of commonly used add-ins for Excel. Use it to generate report on Excel formulas, generate calendar and random numbers, remove matching rows, name dynamic ranges and perform scheduled jobs. SparkCode Professional (Sparklines) - a professional tool for creating dashboard reports in Excel using Sparklines. Barcode for Excel - enables barcodes in office applications and includes an add-in for Excel that supports mass generation of barcodes. Watch a video on creating barcodes in Excel. ConnectCode Number Manager - an add-In that improves productivity when working with numbers in Excel. Excel Sparklines Software Add-In - open source project to generate sparklines. ConnectCode Text Manager - an add-In that improves productivity when working with text in Excel. SpreadsheetML is a new format used by Microsoft® Excel® 2007 to represent a spreadsheet with an XML-based file and covers almost every spreadsheet customization like formulas, data, and formatting. This format is part of the OpenXML specification, which also includes formats for wordprocessing and presentation. The Spreadsheet Markup Language defines a format with a well defined structure. A workbook contains a collection of one or more worksheets. A worksheet is represented as a grid of cells. It can contain text, numbers, dates, formulas, or a single chart. The individual cells within a worksheet can be formatted and the sheet data can include values or a formula. The standard is so comprehensive it goes as far as defining calculation chain, pivot tables, query tables, external connection, styles, themes and revisions, making it easy to work with existing Excel documents that already contain these features. Currently, Excel files that are saved in the SpreadsheetML format carry the extensions xlsx and xlsm (macro enabled). These files are based on the open packaging convention, which means they can be unzipped into a tree structure with folders and subfolders containing the resources of the document (like images and vector files), relationships and xml files describing the formatting and the actual data. Why is SpreadsheetML Important ? SpreadsheetML is part of the OpenXML format that is ratified by ECMA as a standard. Current binary formats have the disadvantage of not being easily processed by third party applications. SpreadsheetML files do not have this problem because the underlying files are text based XML files. An organization with knowledge of Spreadsheet Markup Language can process a file directly to extract, process or modify the data in the file without going through an an office software. The wide availability of XML parsers also help simplify the job of SpreadsheetML processing. Being a text file, the data will not be lost when the original application that creates them are no longer supported. Also, being XML files, the format can be extended in the future or customized for special needs with the addition of new tags. With so many enterprises using Excel as their main spreadsheet software currently, it makes sense to adopt SpreadsheetML as the new spreadsheeet format as it naturally expresses the existing functionalities of Excel, while offering the added benefits of preservation, interoperability, and extensibilty. If you are interested in more infomation on the SpreadsheetML format, please visit our Articles page, which contains several links to this format and its specifications. This site also hosts an open source Add-In for Excel project, known as TinyGraphs, that generate sparklines or tiny graphs as small as a cell and presents an elegant way for visualizing massive amount of data such as stock and exchange rate movements.